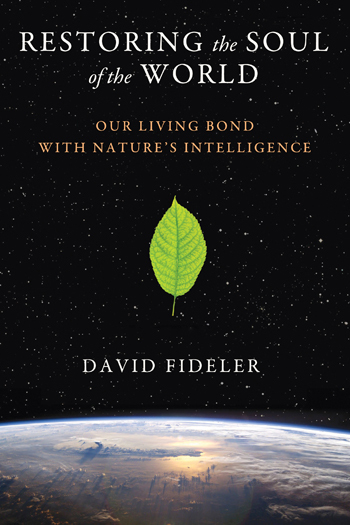 David Fideler has worked as a college professor, editor, educational consultant, and the director of a humanities center. He studied ancient Greek philosophy and Mediterranean religions at the University of Pennsylvania and holds a Ph.D. in philosophy and the history of science and cosmology. Through his work, he has attempted to build bridges between the world of learning and contemporary life. At the age of twenty-four, he founded Phanes Press, with the primary aim of publishing The Pythagorean Sourcebook and Library. Initially focusing on works in ancient philosophy, Phanes Press went on to publish interdisciplinary works in creativity, cultural issues, spirituality, ecology, and psychology. He has also edited five volumes of a humanities journal published in book form, ALEXANDRIA: Cosmology, Philosophy, Myth, and Culture, and is editor of the Cosmopolis Project website. A recognized authority on the Pythagorean school, Fideler contributed encyclopedia articles on Pythagoras and Pythagoreanism to Classical and Medieval Literature Criticism and The New Dictionary of the History of Ideas. Born in the United States, David lives in Sarajevo with his wife and son.